The Parliament amended its legislation to accomodate the Unitary Patent and the Unified Patent Court. This amendment brings some Belgian patent law exceptions in line with those in the UPC Agreement. They inlcude notably the plant variety protection, the “Bolar” type exceptions and the use of information obtained under Directive 2009/24. Similarly, Belgium will carry out a linguistic check of other patent law exceptions to ensure coherence. Finally, it will introduce a provision enabling patent owners to benefit from the protection of a European Patent -without unitary effect. Patent owners will thus enjoy some protection even if their request for a unitary patent is rejected. The challenge, of the legislation allowing for the ratification of the UPC agreement, before the German constitutional court has progressed. The German Bundestag and Federal government as well as by the German Federal Bar Association (BRAK) and Bar Association (DAV), the European Patent Lawyers Association (EPLAW), the German Association for the Protection of Intellectual Property (GRUR) and the European Patent Litigators Association (EPLIT) have in fact all filled statements. The Unified Patent Court (Immunities and Privileges) Order 2018 was made on 8th February 2018 after both houses of Parliament approved it. It confers legal capacity to the Unified Patent Court and grants immunities and privileges to its representatives (Judges, Registrar, Deputy-Registrar and staff). This comes after the Scottish statutory instrument which was approved by the Scottish Parliament in October 2017 and was made by the Privy Council in December 2017. This statutory instrument was the last step for the UK to complete before ratifying the UPC Agreement. The French Senate adopted on 20th Decembre 2017 the bill authorising the ratification of the UPC Protocol on Privileges and Immunities, after it was adopted by the National Assembly on 4th October 2017. The law authorising such ratification was subsquently passed on 30th December 2017 and the Protocol was eventually ratified on 14th February 2018. Italian parliament passed two laws at the end of 2017. On 25th October 2017, a law allowed the Italian government to amend the Italian Intellectual Property Code and align it with the Unified Patent Court Agreement, which Italy ratified in 2016 . Italian Law n°163 therefore provides that “where unitary effect is requested for a European patent and the request is revoked or withdrawn, the term for filing an Italian translation with the Italian Patent and Trademark Office will run from the date of receipt of the communication of the final revocation or refusal of unitary effect, or from the date of receipt by the European office of the withdrawal request“. On 4th December 2017, a law allowed for Italy’s ratification of the UPC Protocol on Privileges and Immunities. Latvia deposited its instrument of ratification of the UPC Agreement on 11th January 2018. It become thereby the first participating country to ratify the UPC Agreement in 2018. Luxembourg is preparing the ratification of the UPC Agreement. 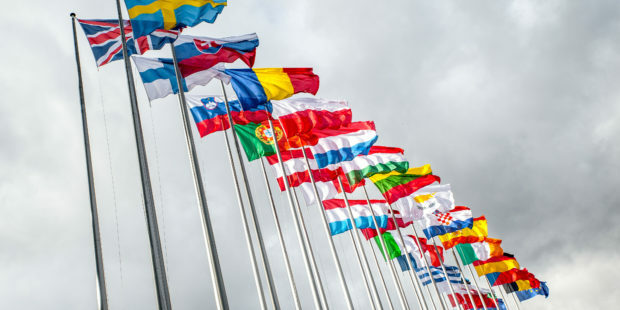 The Luxembourg’s Council of State gave its consent for the bill ratifying the UPC Protocol on Privileges and Immunities in February 2018. The law was published in Luxembourg official journal and will come into force on 18th March 2018. It is especially important for Luxembourg to ratify this Protocol. Indeed, its ratification -as well as those of France, the UK and Germany- is necessary for the Protocol to come into force.